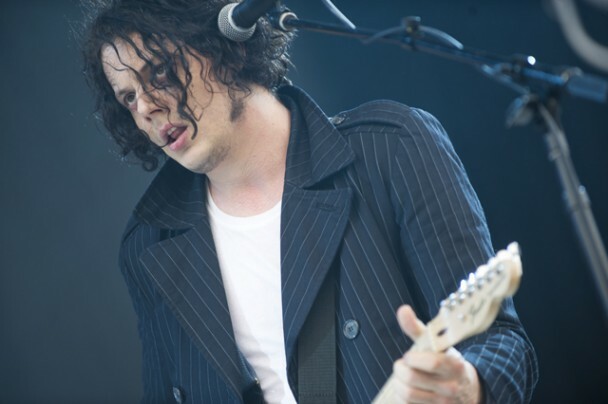 Mr. White’s show began with a rollicking set featuring songs from his recent solo album, Blunderbuss, and tracks from his bands: The White Stripes, The Raconteurs and The Dead Weather. From our seat in the nosebleeds, it seemed as though Mr. White’s music was enthusiastically received by the crowd. However, after about 45 minutes, Mr. White suddenly left the stage. Thinking this was the standard concert tease that often occurs prior to an encore, the vast majority of the audience remained, clapping and cheering in an effort to encourage Mr. White to retake the stage. After more than 20 minutes, all of the house lights were turned on and ushers began to make their way through the crowd informing them the show was finished. Allegedly, White said “What is this, an NPR convention?” and other rumors circulated suggesting that White was displeased by how many of that night’s tickets had gone to scalpers. Another rumor suggested White had bickered with a fan in the front row, eventually having the fan removed. I tend to agree with WSJ‘s Jason Gay that once you charge upwards of $30 for a concert — the lowest face value for a seat Saturday was $40, and that’s before factoring in whatever the scalper markup was — you forfeit your right to openly mock attendees (beer is also very expensive at Radio City). At any rate, 45 minutes of material … yeah. Pretty weak.